Danilovsky Department Store, as many other buildings of the transition period, was designed by two architects. 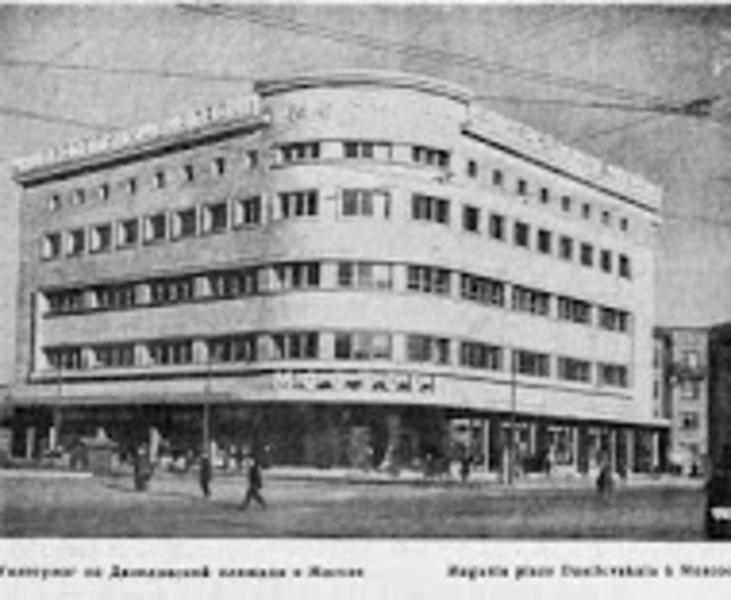 In 1929 civil engineer Boldyrev designed two symmetrical store buildings, enclosing the apartment block of the Goznack plant on the side of the newly formed Danilov square. The construction of the right building, which was to become the department store, began in the 1930’s. A year later, when all the state resources were set aside for the industrialization, the project was frozen. In 1934 it was decided to complete the construction. The original project, however, did not meet the current requirements anymore. 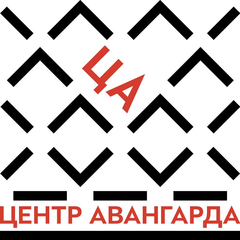 Georgy Oltarjevsky, architect of a few pre-revolutionary apartment buildings in the neo-classical style, was chosen to make adjustments in the design. His take on the building was, however, not neo-classical. He decided to go with quite popular back then art deco style – buildings like Mostrog with smoothed out corners, pushed in main entrance, closed galleries along the shopping displays and bold inscription on the attic could be seen in many cities around the world. The curved staircase lit by a large vertical stained-glass window is the key element in the interior. Loose floor-plan with barely any posts are what is left from the original constructivist design.